Summer is the perfect time for a destination wedding. People often plan summer vacations and your destination wedding is an easy way for them to narrow down a location spot. Yes, your big day is a big deal, but your guests will most likely travel for more than just one night so they can explore the big island. 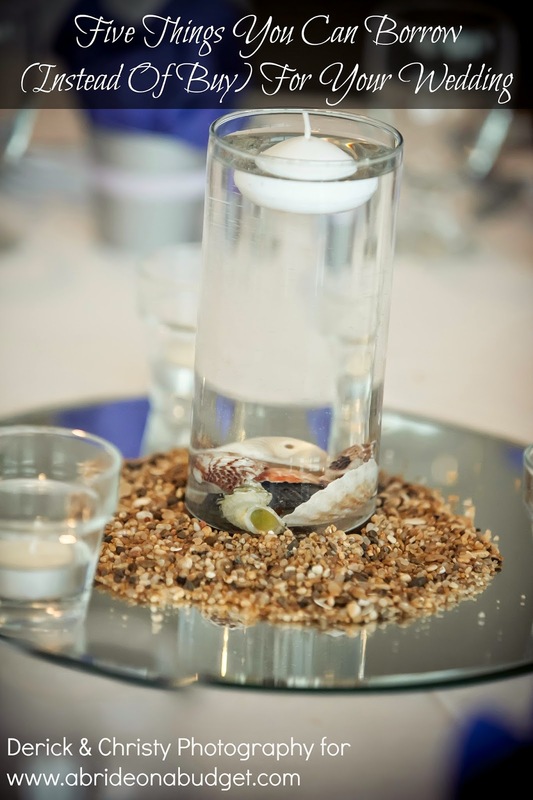 If you're having a destination wedding, destination wedding favors should reflect that. 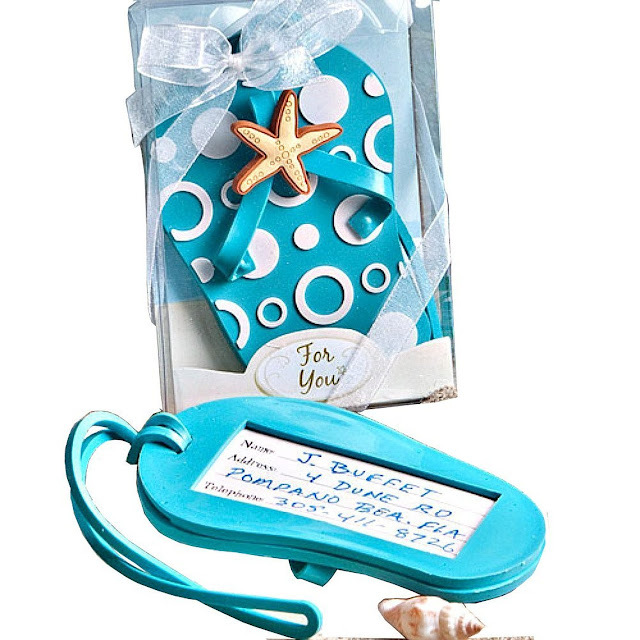 Think travel themed wedding favors: luggage tags, sunscreen ... little things that are perfect for vacations. Keep in mind, though, that 100 sunscreens can be really heavy. They could potentially take up a good portion of your 50-pound checked bag allowance. To combat this, call the hotel or resort where you will be staying and ask if you can have the favors delivered directly to them and given to you upon check in. If you order any of the favors that are "assembly required," just make sure to carve out a little pre-wedding time with your mom or bridesmaids to hang out (by the pool, the beach, tiki bar, wherever) and put them together. 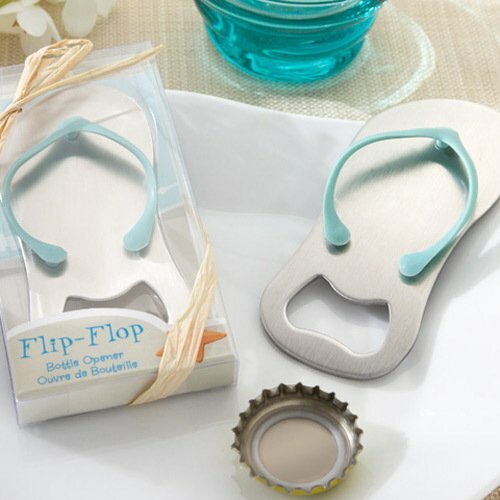 I love these flip flop bottle openers so much that I actually included them on our bottle opener wedding favors post. They were actually on my shortlist for our wedding favors. They're really practical and cute. Plus, that blue handle makes them really easy to spot when your guests are home and rummaging through drawers looking for a bottle opener. Part of favors is just packaging. As long as the package is cute, you can fill it with anything. Enter these themed travel suitcase favor tins. They look like a traditional suitcase. You can personalize it with a different colors, over 50 different images, and you're own text too. Then, fill it with anything you want (M&M's, mints, etc.) in any color. It doesn't have to match anything else because it's tucked inside. While I like the other suitcase tins, I love these ones. Personally, I use roller luggage to travel, so this mini suitcase favor tin is just like what I would b packing in for a destination wedding. You can personalize these with 12 different labels, all with your own text. You also get a "Thanks for making the trip" tag, which makes them pretty perfect. We have a lot of coasters in our apartment (and for some reason, my current drink is actually not on a coaster). They're incredibly useful. 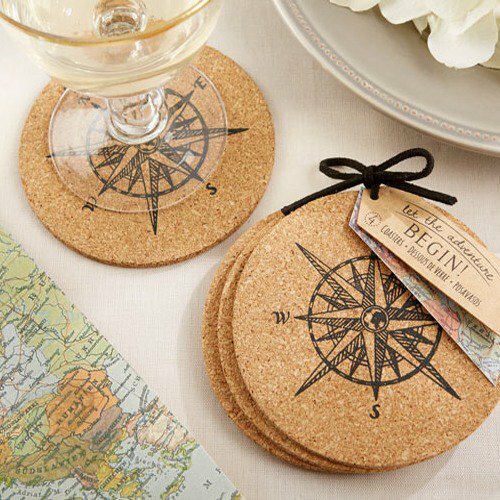 So your guests will absolutely love if you have compass cork coasters as your wedding favors. 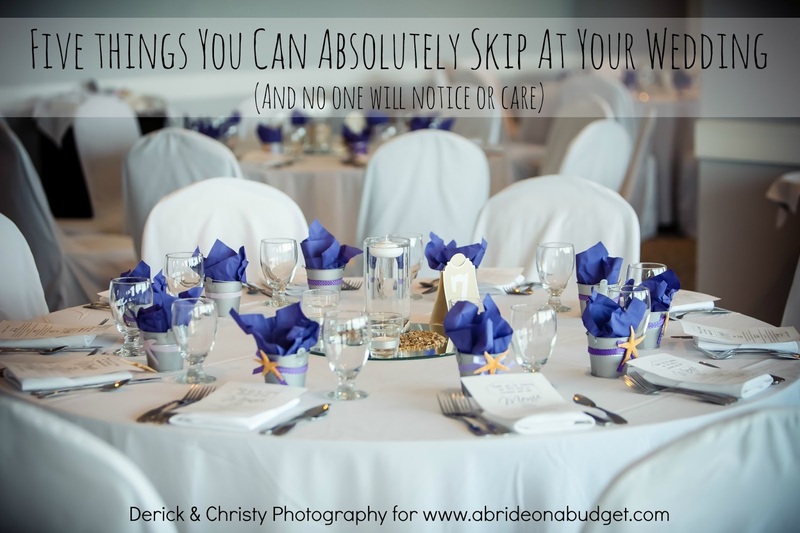 These would be particularly good if your destination wedding was at a vineyard or in Napa. 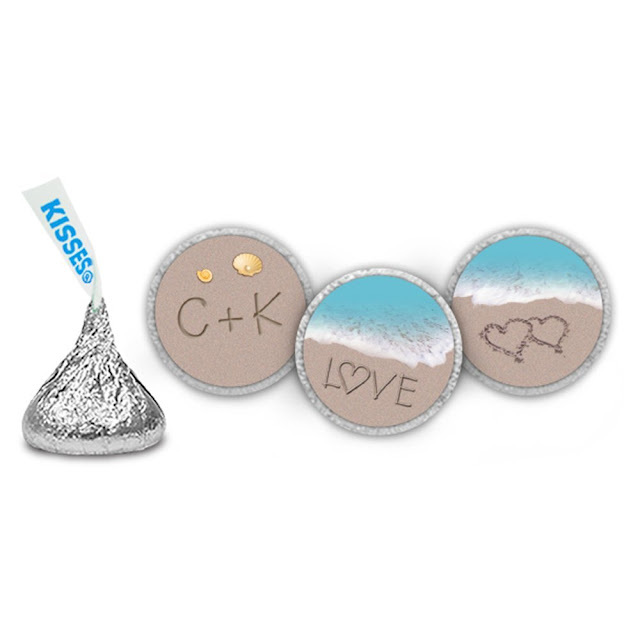 These personalized beach wedding stickers for Hershey's Kisses are one of those "assembly required" favors. You personalize them when you order, but you only are paying for the sheets of stickers. You still have to buy the Hershey's Kisses and affix the stickers to the bottom of each. That's a pretty simple way to get personalized beach wedding favors without a ton of money or assembly. When it's hot out, I'm forever grabbing my lip balm ... and then losing them before I finish them. Honestly, is there anyone who has ever finished a tube of lip balm before misplacing it? 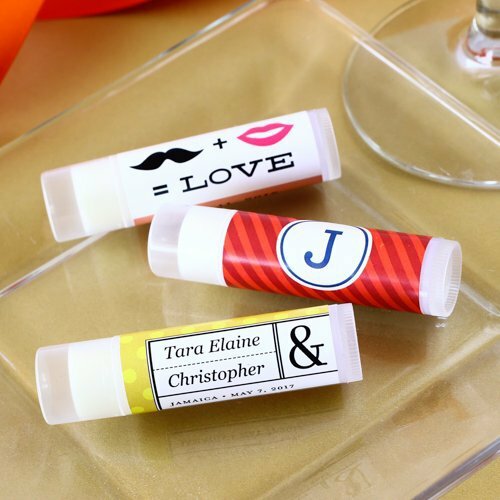 So a personalized lip balm favor is the perfect practical destination wedding favor. If these flip flop luggage tags look familiar, it's because they were actually my bridal shower favors. My mom picked them (since our wedding was a destination wedding for everyone but me and Pete) and they were perfect. A bunch of people used them for the wedding and my grandma even used hers again for a family trip to Japan that we just got back from. Such a useful favor. We had a sunscreen bar at our wedding and it was a huge it -- especially for our guests who were staying in North Carolina for the week following our wedding. We had about nine bottles, so not enough for everyone to take one. So personalized sunscreen wedding favors would be a huge hit. When we were in Japan earlier this month, my mom needed nail files. I had packed one, but she didn't. 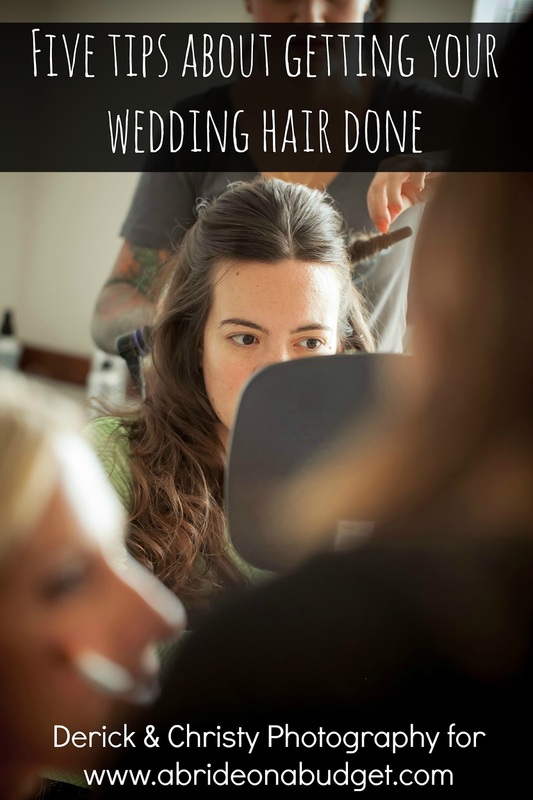 How many of your wedding guests will remember to pack nail files? 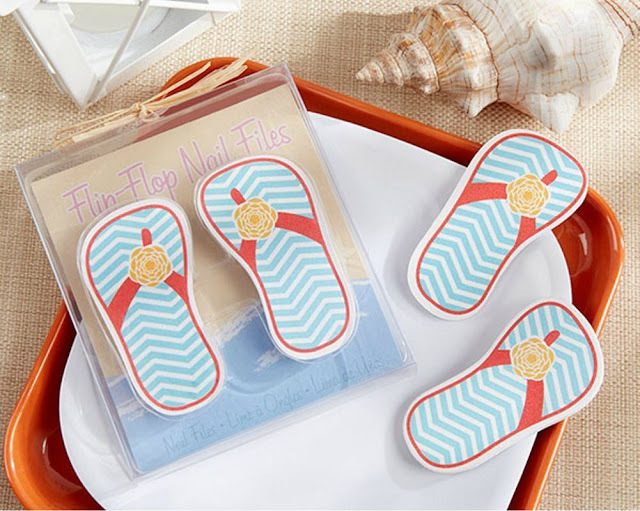 Save them the headache of a chipped nail all vacation and pick up these flip flop nail files. 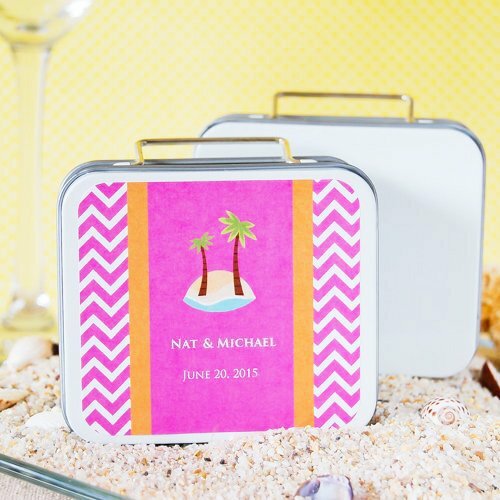 They're adorable, practical, and perfect destination wedding favors. 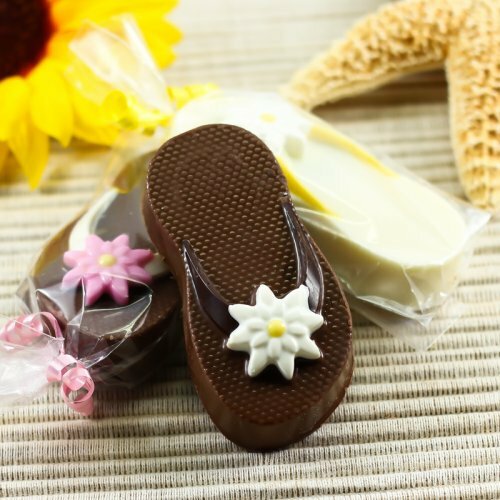 I've saved my favorite for last: flip flop chocolate covered Oreo. Well, favorite if I was coming to your wedding (not if I was hosting a destination wedding because I'd be worried about them melting). You can get them in either milk or white chocolate. I think the milk looks and tastes better, so I would go with those if I was you. If you do order them and have them sent to your resort, be sure to let them know it's perishable and needs to be kept cool. The last thing you want to do is shop for last minute favors because yours melted. BRIDAL BABBLE: Which of these destination wedding favor ideas is your favorite? I love the coasters! We use them all the time to save the varnish on our furniture. Thanks for the great ideas! Coasters can be super useful. I just love favors that are things people actually use. These favors are too cute. I can't decide which I like better. Thanks =] Maybe brides will have to do a mix of the ten. I love that one too. What would you fill it with? Oh that's such a fun idea. I've seen matches as favors but never thought to pair them with candles. If I went to a wedding and I got these favors...I would be thrilled! Great ideas for my daughter. Awesome ideas and I wish I had this blog 21 years ago! These are all fantastic ideas! I love them! These are some really cute ideas for a budget wedding. These are fantastic!!! 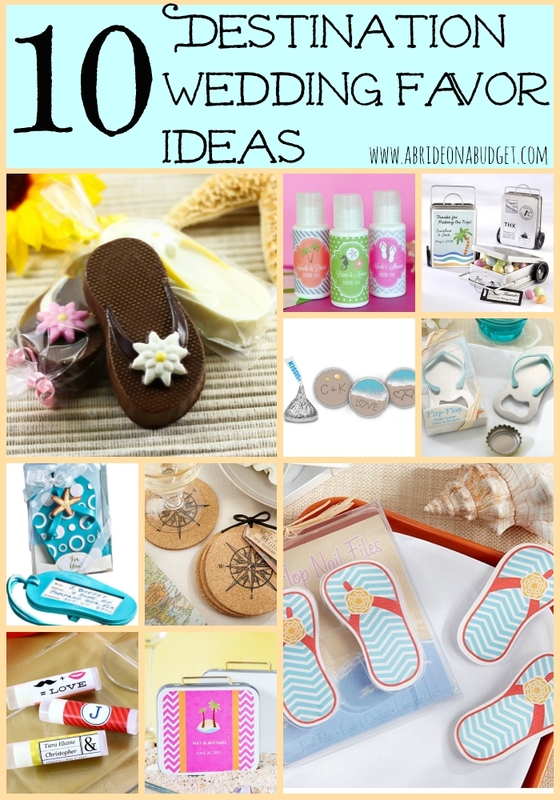 I love, Love, LOVE the flip-flop ideas! All really cute ideas. I especially love the flip flop luggage tags!! I love these ideas!! I am going to be helping my friend plan his wedding and these help me think of some creative ideas... I love them all thank you for sharing! So many creative ideas - if you can afford a destination wedding, having favors like these really adds to the excitement! I like the flip flop favors and the personalized lip balms. Hi there, thanks for sharing this wedding favors they are amazing and trendy. Last month on my sister's wedding we had gifted a hand stamped jewelry as a wedding favor and that was elegant and guest were surprised after receiving that gift. But this above ideas are lovely.